Madame Antonie‘s quaint charm kept me hooked from the very first episode. We have our heroine, the quaint bohemian-styled cafe owner Go Hye Rim (Han Ye Seul), who claims that her body is the host of French Queen Marie Antoinette’s ghost. She thereby cons people by reading their future; where she lacks in psychic she makes up for it with sharp observations and a great hunch. Our hero, Choi Soo Hyun (Sung Joon), is a professor who specializes in women’s psychology and hails from the famous university of Stanford. 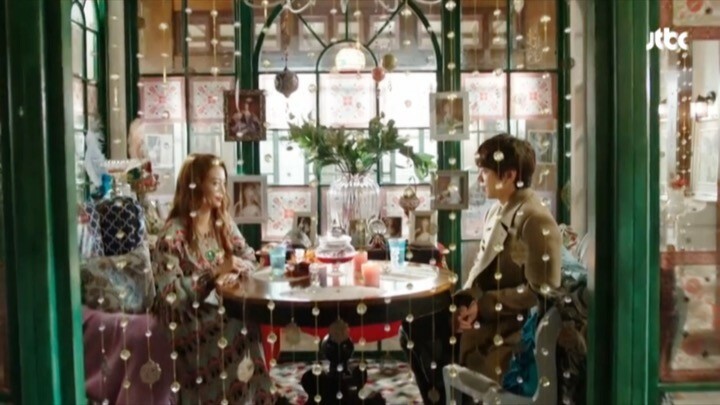 Their lives become tangled with each other after Soo Hyun moves in upstairs from Hye Rim’s cafe. Little does Hye Rim realize that the three desirable bachelors, with varied personalities, who keep approaching her, are all part of a cynical experiment conducted by Soo Hyun to prove his hypothesis around the nature of true love. One of the first things that I loved about Madame Antoine was its unconventional premise, something that was executed to near perfection except towards the end. This drama strikes a perfect balance between the characters, the events unfolding around them, and the repercussions. 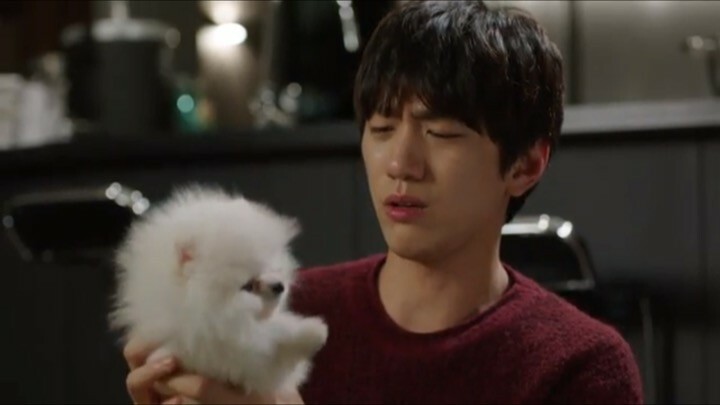 I was particularly impressed with lead actor Sung Joon’s portrayal of the unusual character throughout the drama, be it his quirky personality or his tear-inducing past. Another thing I noticed was that the love triangle wasn’t emphasized too heavily. This too contributed in making Madame Antoine a one-of-a-kind drama. Madame Antoine’s quaint charm kept me hooked from the start. However, I found the finale of this drama rather weak compared to the strong start, with not entirely satisfying resolutions. Another limiting aspect of the drama is that because of its focus on romance, it doesn’t really entice a varied audience in spite of its very relatable character. The first four episodes establish a rock solid introduction of the main characters and the events that are about to unfold comically. Besides Hye Rim and Soo Hyun, we also meet Choi Seung Chan (Jeong Jin Woon) and Won Ji Ho (Lee Joo Hyung), the brother and student of Soo Hyun respectively, who are also the other two “competitors” vying for Hye Rim’s heart. 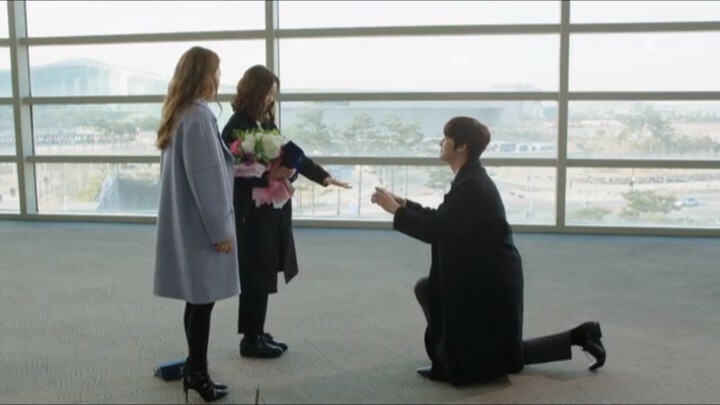 These episodes are not only limited to romantic and amusing elements, but also extend to sentimental moments like when Hye Rim lost her family. Such moments went a long way in developing the emotional depth of the characters. We get to know both of our lead characters a little better here. They’re not only put forth in positive lights but also negative ones as well, making them that much more relatable. Subtle details around Hye Rim, such as her rudimentary French equivalent to that of a tourist, and her keen perceptions, keep the viewers humored and engaged. Even though she cons people and has many little flaws, it’s not hard to gather that Hye Rim is a lovable people person with enormous self-confidence, sharpness, and righteousness. 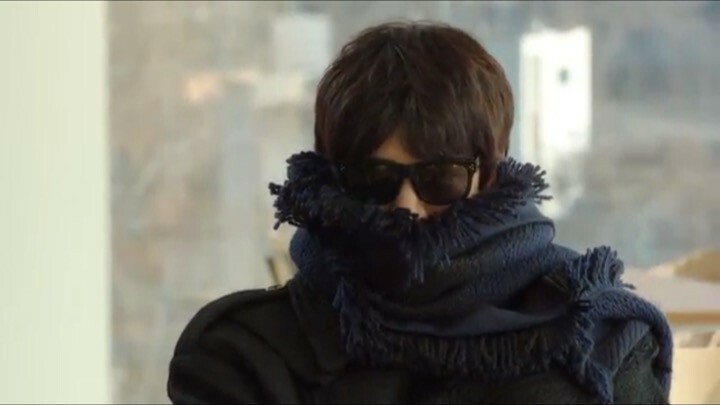 Soo Hyun on the other hand, comes across as a cold, emotionally detached, maniac experimenting with love. His slouchy stance and walking style give off a mad scientist vibe. But we also get the sense that he harbors deep pain and angst from his past, making him more human at times. 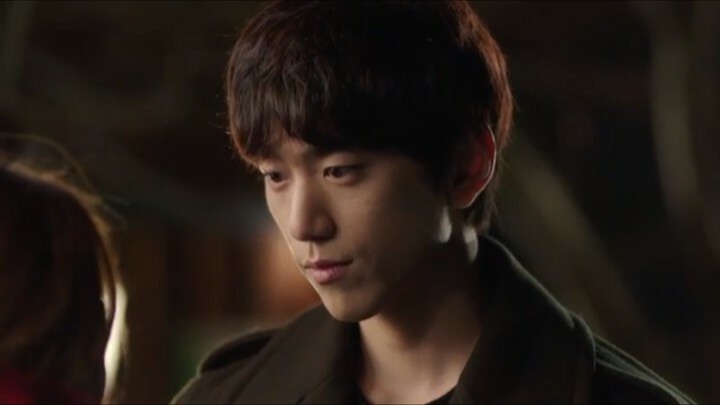 Sung Joon portrayed his mysterious, aloof yet charming character terrifically. The sharp contrast between the main characters leaves me excited for their seemingly impossible love story. The romantic front saw a phenomenal development. Soo Hyun trying to woo Hye Rim in a series of comedic moments especially stood out as a cleverly written sequence. Likewise, a number of compassionate scenes, like how Soo Hyun quietly followed Hye Rim around during a tragic period in her life, made the drama feel especially realistic. However, it did feel like the romance escalated rather too quickly. While it was enticing to an extent, something felt off and ungenuine about the whole ordeal. It was perhaps Soo Hyun’s lack of sincerity and Hye Rim’s foolishness that made it less convincing and rather illogical. But nonetheless, I did enjoy watching the on-screen chemistry between the two. Meanwhile, heart-wrenching scenes were peppered throughout as well to enriched the drama further, making it more than just a rom-com revolving around psychology. These next episodes of Madame Antoine focus mainly on romance. The protagonists are confronted by conflicting feelings and their decisions on the matter are examined in this set of wittily written episodes. The love triangle is formed, but is not deeply scrutinized. Things are kept at a fun level, which is a relief because there are a lot of tragic events going on for the rest of the characters. I would have liked there to be a little more love line between Ji Ho and Yoo Rim. But, whatever little we had, was thoroughly funny and enjoyable. Besides the romance, a lot of secrets are also revealed in these episodes, making them a lot more exciting to watch. Hye Rim confronts the others about the experiment only to be led into a wild goose chase, which was a major source of humor. I was happy about the fact that Hye Rim finally began to suspect things and ask questions instead of simply accepting the lies that were fed to her — a more logical fit for her smart nature. So many details in Soo Hyun’s personality were brought to light in a convincing manner. Speaking of characterization, these episodes mainly focused on Soo Hyun. So many subtle details about his personality were brought to light in an extremely convincing manner. Soo Hyun’s face twitch when he lied, his childish behaviors, and his jealousy are just some of the many traits of the character perfectly channeled by the actor. Hye Rim’s character on the other hand, doesn’t see as much elaboration except that she values trust and is a woman who can love deeply. But our hero’s sidekicks Seung Chan and Ji Ho demonstrate major developments. I particularly enjoyed the scenes of sibling rivalry between Seung Chan and Soo Hyun. Ji Ho is equally entertaining with his 210 IQ brain and highly scientific approach to even the simplest of situations, such as the visible effort to blink his eyes at fixed intervals. These peculiar behaviors paint Ji Ho out to be extremely robotic. But at the same time, his childishness has been illustrated by his lack of people sense and utter candidacy. There is an introduction of a person with Multiple Personality Disorder that took these episodes to another level. Although it’s not fully discussed, it adds spice to the story. The subplots involving the Chairman — owner of Hye Rim and Soo Hyun’s building and the main sponsor of the experiment — was equally thrilling. As such, these episodes were almost flawless and I quite enjoyed sifting through them. Much to my surprise, this section of Madame Antoine witnessed a fast-paced storyline along with introductions of a few new characters half way through the show. These episodes were stuffed with a variety of elements like romance, comedy, tragedy, confessions, and mystery. The amount of secrets that were revealed is outlandish. However, the intended essence of it all didn’t quite reach me, perhaps because the drama’s execution lacked balance and these threads of emotions felt jumbled together. We see a focus around the supporting characters here, some old, some new. 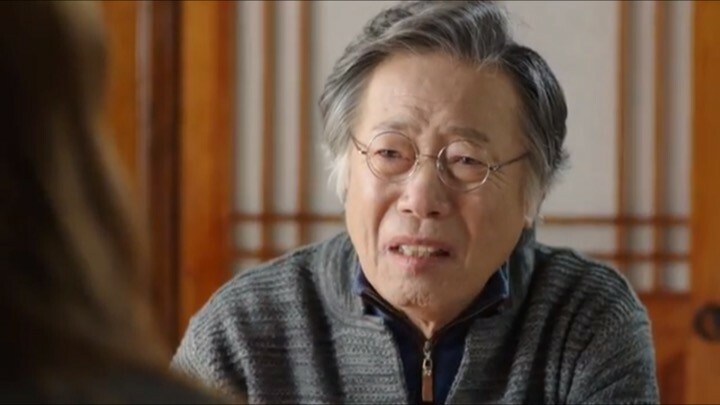 I was happy that Ji Ho was finally used more in a number of funny scenes while other parts of the drama reveal more about the mysterious Chairman. I thought that the entire sequence involving the Chairman was beautiful and heartfelt. 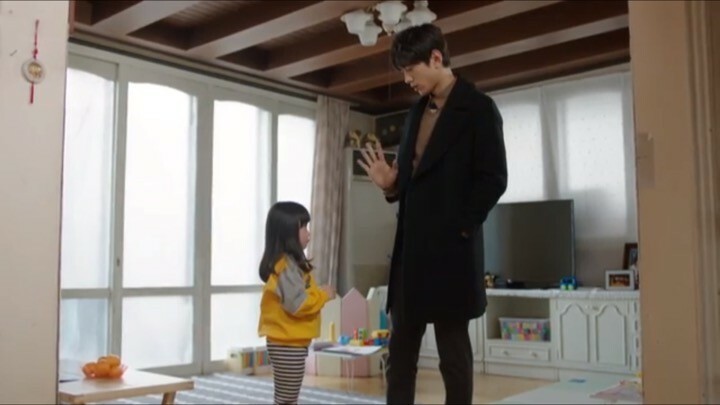 Likewise, the addition of a new little girl into the drama made it fun to watch. This little actor has really outdone herself to fit into the role of an attention deprived toddler. On the other hand, the love triangle was dissolved in unrequited love and all the lovey dovey feelings that accumulated up to this point were destroyed by doubt at the same time. At first, there was far more romantic development than in the previous episodes, but everything came crashing down in an instant. This rollercoaster ride was rather painful to sit through. As suggested before, these episodes aren’t the best of Madame Antoine. They lacked the charm that previous episodes built. Things were rushed, and so the implications of the events taking place here didn’t really sink in. Moreover, it seemed to me that too many new elements were dropped into the drama at such a late stage and that prior emphasis would’ve definitely helped alleviate some of the chaos. The concluding set of Madame Antoine wasted no time in resolving the main issues in an entertaining, heartwarming, and loving tone all at the same time. These episodes show a clear picture of the drastic transformations that our characters have inflicted on each other’s lives. Most of all, these episodes brought out the vulnerability and the ability to love among our characters. And so, the main theme here is no longer just mystery or comedy, but love between any two human beings. The mystery around the chairman, which the drama has been hinting at all long, is finally brought to light in a series of quick and emotional events while Soo Hyun’s past and present converge, leaving both him and the viewers dumbfounded. We see all the pain and anger he’s been harboring thus far, leaving me holding back tears for what he’d been through. Sung Joon gave a fantastic performance here to channel the deeply buried agonies that otherwise would’ve gone unfelt. Yet despite the wonderful emotional value, Soo Hyun’s issues were divulged discretely one after another rather than interwoven like they’d been before, which contributed to some dry spots in these episodes. In the end, Hye Rim and Soo Hyun both learn to face reality. Their decisions and resolution on matters prove that they were indeed, influenced by each other deeply. Seung Chan’s relationship too saw a closure of sorts, but I wasn’t very happy with how things were left in the drama. It was neither concrete nor open-ended, which definitely racked up more negative points for Madame Antoine. But I do think Ji Ho’s relationship had the best ending of all. It was clear cut and cute, something that even the lead couple lacked. All in all, Madame Antoine was a pretty unique drama that almost had me love every second of it. I appreciate the writers for interweaving an intricate storyline with so many ways of portraying the theme of love. The screen time allocated to each character was well-planned while the acting was highly commendable. Despite the less than perfect ending, Madame Antoine managed to capture my heart and mind.